You know you can’t start a business on a wish and a prayer. Tight credit and the high costs associated with brick-and-mortar startups are driving entrepreneurs to find alternative ways to start businesses out of their homes—on a shoestring budget. You just need an idea that’s right for you, a realistic business startup plan, and the commitment to pursue your dream of being your own boss. • The Three C’s of a low-cost startup: your car, computer, and cell phone. • How to decide which business is right for you. • The fastest and most effective ways to get up and running. • Examples of businesses that can start generating much-needed cash quickly. • The actual costs/benefits of each low-cost startup. • Ways to get customers and market the business. • How to set up a back office, keep simple books, collect fees, and more. Gail Margolies Reid is a CPA and consultant who has dedicated her entire 30-year career to working with small business owners. Ms. Reid grew up in an entrepreneurial family, working in her father’s business during high school and college. After several years of employment in Big 4 accounting firms, she founded her own CPA firm in Atlanta, Georgia, focusing on small business startups. In 2008, after 21 years of practice, she successfully sold her firm to concentrate on developing her program to educate hopeful entrepreneurs and prepare them for the real world of small business. 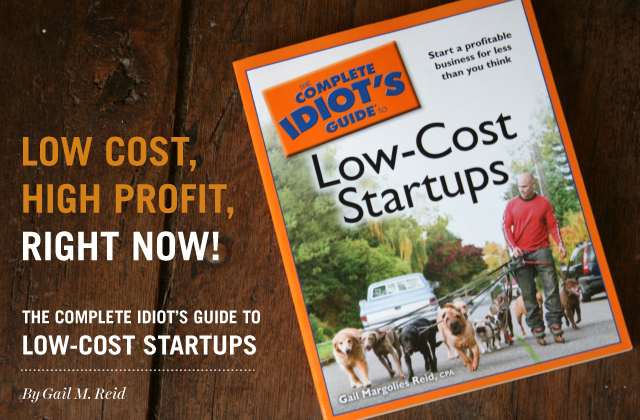 Visit us on Amazon and purchase your copy of Low Cost Startup with High Profit today!